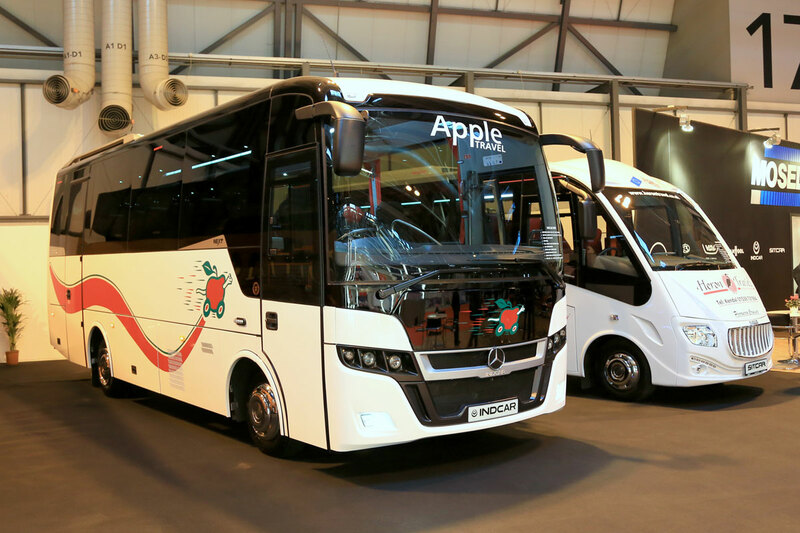 Van Hool EX shown in left hand drive form by Arriva Bus andCoach. 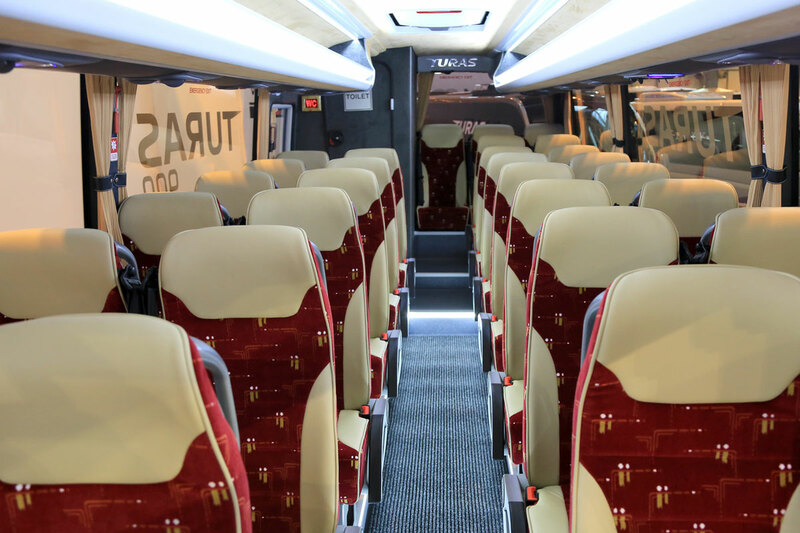 Van Hool EX shown in left hand drive form by Arriva Bus andCoach (Interior). 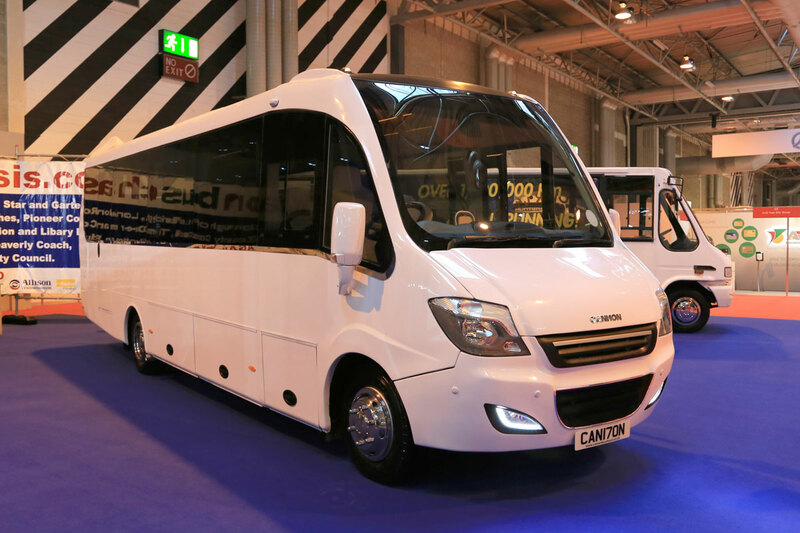 The Cannon Softline Variant bodied by EuroCoach. 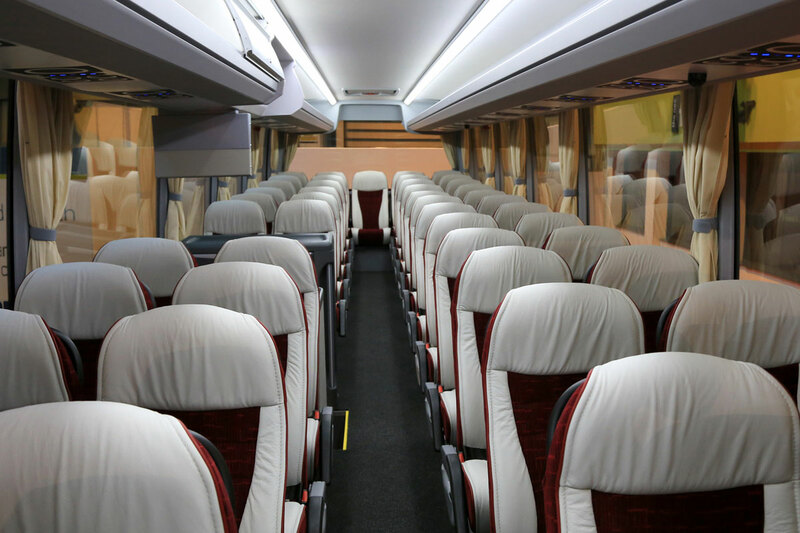 The Cannon Softline Variant bodied by EuroCoach (Interior). 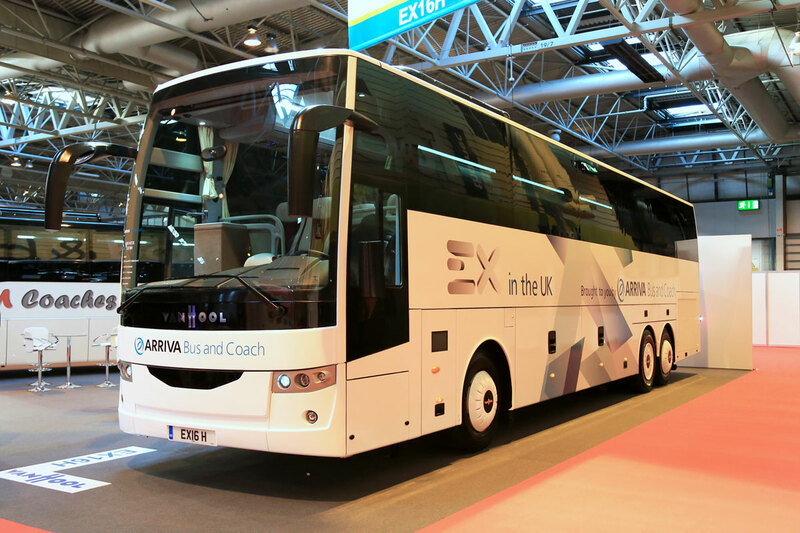 Temsa MD9 from Arriva Bus and Coach. 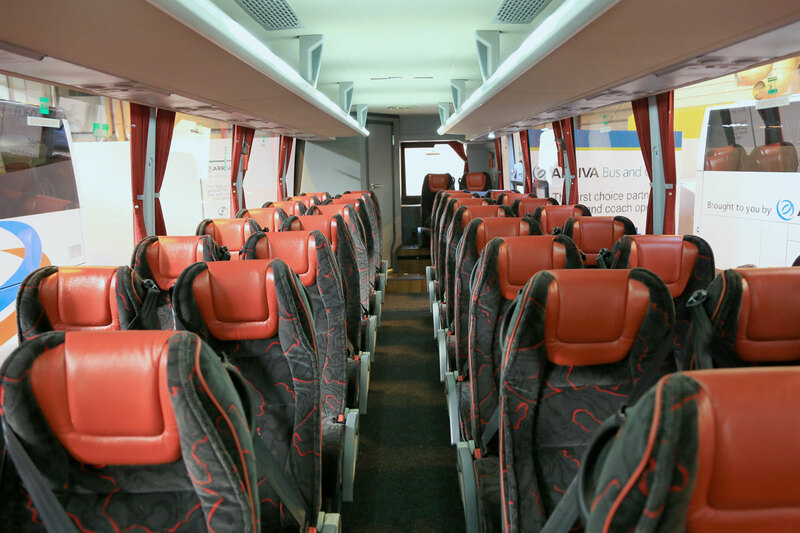 Temsa MD9 from Arriva Bus and Coach (Interior). 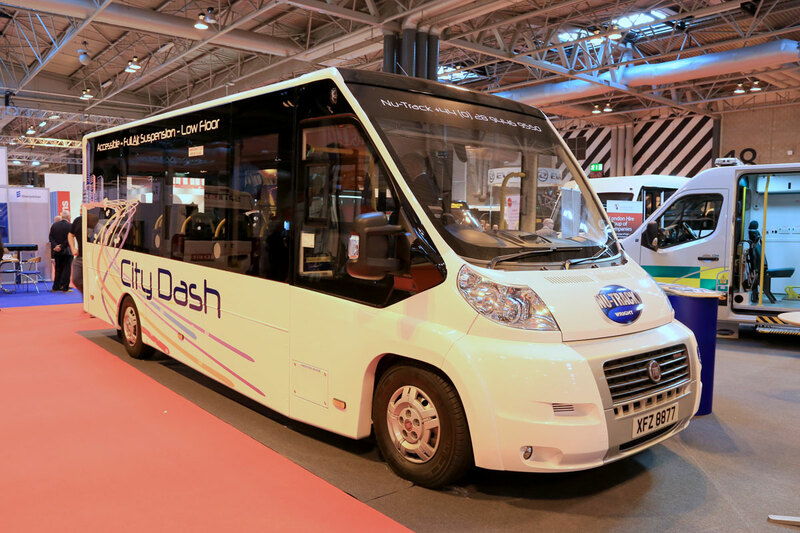 Nu-Track City Dash incorporating Fiat units. 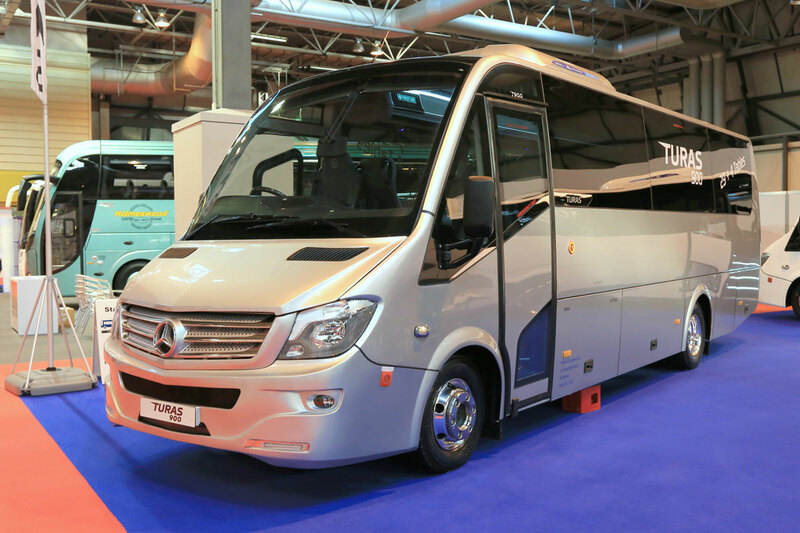 Noone Turas 900 in production form from Minis to Midis. 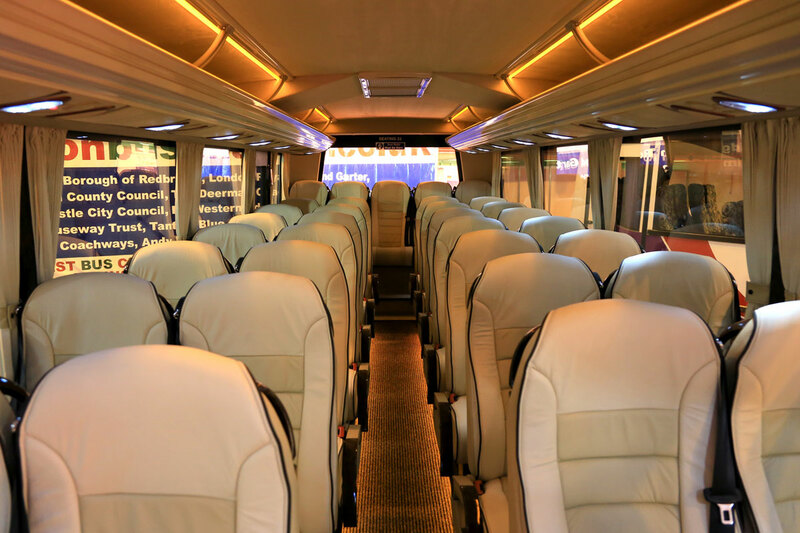 Noone Turas 900 in production form from Minis to Midis (Interior). Indcar Next and Sitcar Voyager from Moseley. 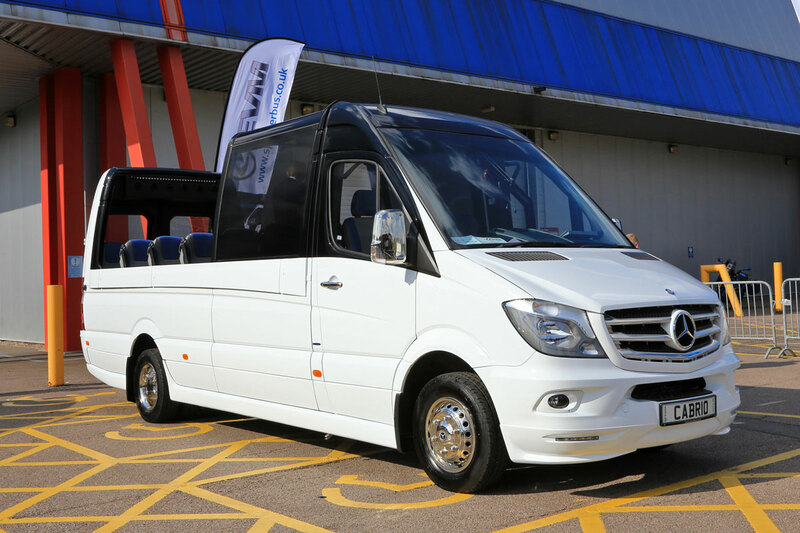 Ideal weather for the roof of EVM's Mercedes-Benz Sprinter based Cabrio to be displayed with the roof open. 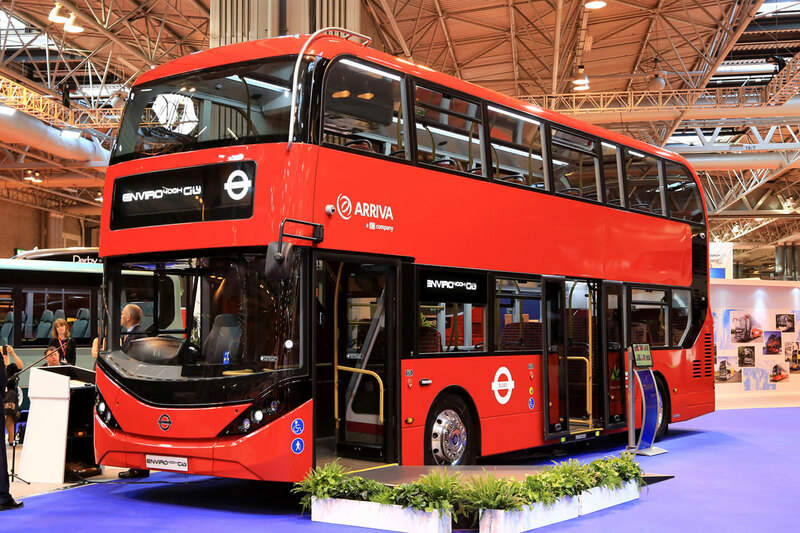 ADL Enviro 400H City for Arriva's London operation. 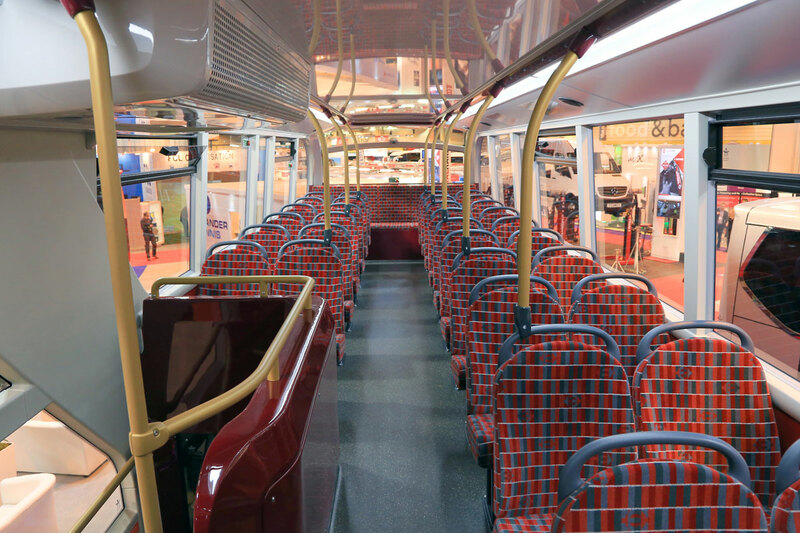 ADL Enviro 400H City for Arriva's London operation (Upper Deck Interior). 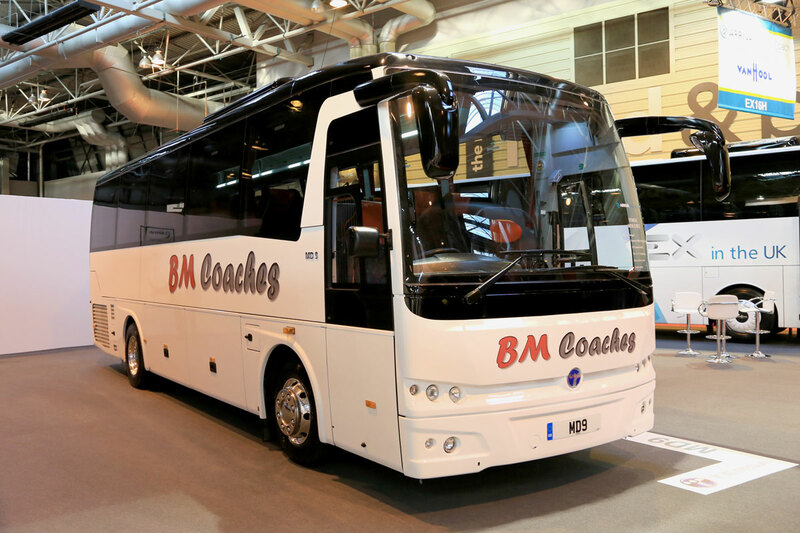 Coach and Bus Live 2015 provided the opportunity to see a wide variety of products and vehicles new to the industry. Here we show a number of the newly released vehicles, read more about them and everything else there was to see in next week’s issue.